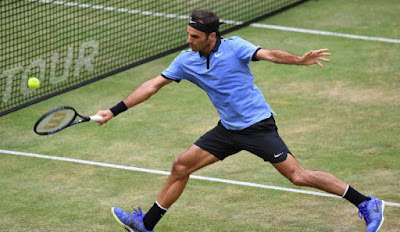 Eight-time champion Roger Federer reached the quarter-finals of the Halle grass court tournament for a 15th time on Thursday with a 7-6 (4), 6-4 win over German serve-and-volleyer Mischa Zverev. 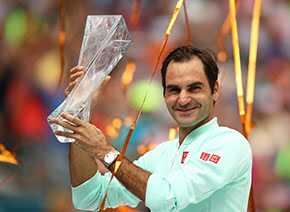 Federer improves his ATP Head to Head record against Zverev to 4-0, including a win this year in the Australian Open quarter-finals. He has yet to drop a set against the German. The Swiss star improves to 56-6 in Halle. Awaiting Federer in the quarter-finals is another German in defending champion Florian Mayer, who defeated sixth seed Lucas Pouille earlier in the day. Federer leads their Head to Head series 7-0, including three straight-sets wins in Halle (2005, 2012, 2015). Both Federer and Zverev traded service holds throughout the opening set, with the German bravely saving three set points on his serve at 4-5. Little separated them throughout the tie-break, but Federer raised his level when it mattered most at 5/4, flicking two backhand passing shot winners to grab the early advantage. Their serves continued to be in top form throughout the second set, but it was Zverev who blinked first. 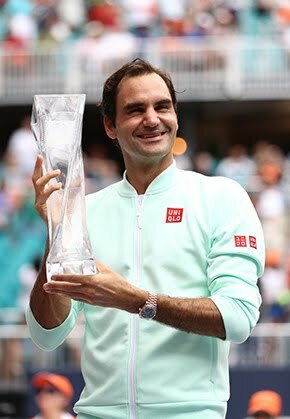 Federer laced a forehand passing shot at 4-4 for the lone break of the match and then comfortably held serve to prevail in one hour and 30 minutes. Federer didn't face a break point in the contest and finished the day with 28 winners to 18 unforced errors. Zverev hit 18 winners to 23 unforced errors. Federer was quick to acknowledge that today’s match bore no resemblance to the double bagel he handed out to Zverev when they met in Halle in 2013. “It was totally different. He started serving great, which put me under pressure as I wasn’t getting many looks,” Federer said. “It was important to stay calm after missing chances to win the set at 5-4. And it’s important to win ‘breakers. They are the sets you need to win to win tournaments. It felt like a close ‘breaker that could have gone either way. Although Federer leads Mayer 7-0 in their Head to Head series, the unorthodox German did push Federer to two tie-breaks when they met on grass in Stuttgart last year. And after combatting very different playing styles in his first two rounds, Federer expects further contrast Friday. “I played against a right hander from the baseline in Sugita, a left hander who serves and volleys all the time (Zverev) and Mayer plays very different to everyone else. He uses slice, he comes in, he chips and charges, he loops the ball and serves / volleys a little bit, so he’s really going to throw everything at me. I know he wants it badly, so it will be a tough one. I played my best match today and that will give me some confidence for tomorrow.